We are always complaining about the fact that the public organisations don't listen to us. Governments, universities and international organisations usually write laws and regulations not taking into account the people that these are going to affect. However, I have to say that there is an organisation that, since a long time ago, does take into account citizens opinions when the time of writing its documents comes: the European Commission. I know what you are thinking: " but the European Commission produces not binding documents, but recommendations". Yes, you are right. But these are recommendations at European level that, little by little, governments, universities and other kind of organisations take. Actually, the European Commission publishes two basic types of documents that cover different aspects of the European scenery: Green Papers and White Papers. The Green Papers are the documents about the current situation on some issues to promote a reflection on those subjects. The White Papers, however, have specific proposals of action and in many cases arise from some previous Green Papers about the same subject. "All researchers engaged in a research career should be recognised as professionals and be treated accordingly. This should commence at the beginning of their careers, namely at postgraduate level, and should include all levels, regardless of their classification at national level"
This document should be known by every researcher and organisation that has to hire researchers. Since 2005, when it was published, many national organisations have taken it, but they are not enough and its implementation is being very slowly. In addition, there are other two very interesting green papers related to research: "The European Research Area: New Perspectives" from 2007 and "From Challenges to opportunities: Towards a Common Strategic Framework for EU Research and Innovation funding" from 2011. 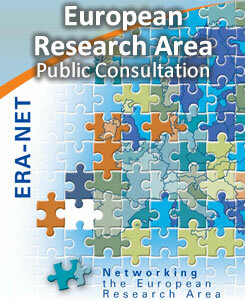 But the aim of this post is to present to you a public consultation that the European Commission is conducting at this moment about the Areas of untapped potential for the development of the European Research Area (ERA). This is a consultation where the European Commission wants the opinion of the citizens and organisations about the areas that can be improved in the European Research Area. This consultation cannot be successful without the citizens opinion and contribution. Here you can access the website with the information about the consultation. There are two main ways to contribute to it. One is answering the questionnaire that they propose, and the other one, sending your written proposals and opinions in a document. The deadline to contribute is the 30th of November of this year, so we don't have a lot of time left. Alongside the questionnaire you can find a document with the key areas and information about the different parts of this consultation. If you have enough interest and time (well, it's only 10 pages), I strongly recommend you to read it. And the only thing I can do now is to encourage you, from Science Box, to check the questionnaire and fill it. We don't have quite often the opportunity to influence the future strategies about research. Let's not miss this one. Thanks a lot for your collaboration and I need to ask you for a last favour. If you fill the questionnaire, could you leave a comment in this post saying that you have done it, and where country are you from? A "done"+"country" is enough. Thanks a lot again.